amanoamano di Miria: First DT for Kuretake UK ! Ciao a tutti! Eccomi con il primo progetto per il DT di Kuretake UK. Si tratta di una easel card in stile clean and simple dedicata alla più famosa neonata del mondo in questo periodo, la principessina Charlotte! Per il sentiment che ho scritto a mano ho usato ancora Wink of Stella Brush e Cocoiro pen. Potete trovare il progetto sulla pagina fb di Kuretake qui insieme a tante altre splendide creazioni! Hi all!. 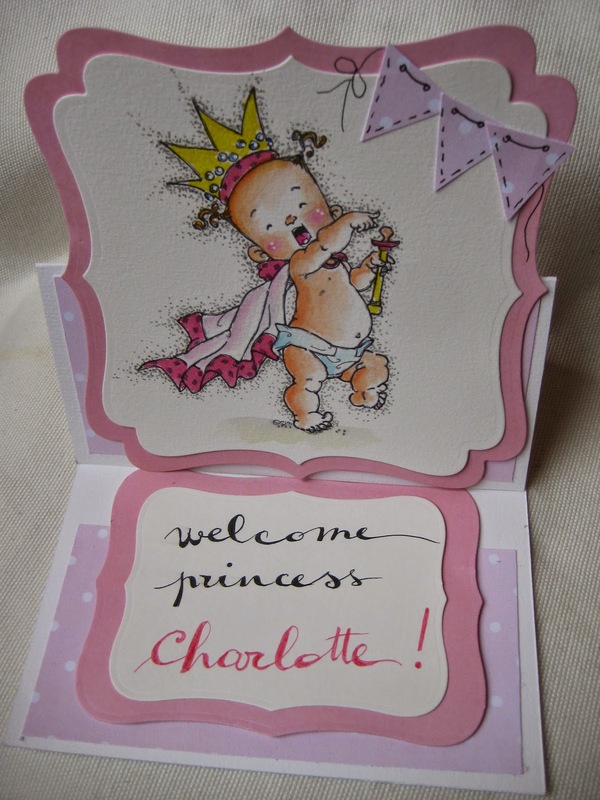 This is my first DT project for Kuretake UK , a CAS easel card devoted to the most famous baby at the moment, Princess Charlotte! 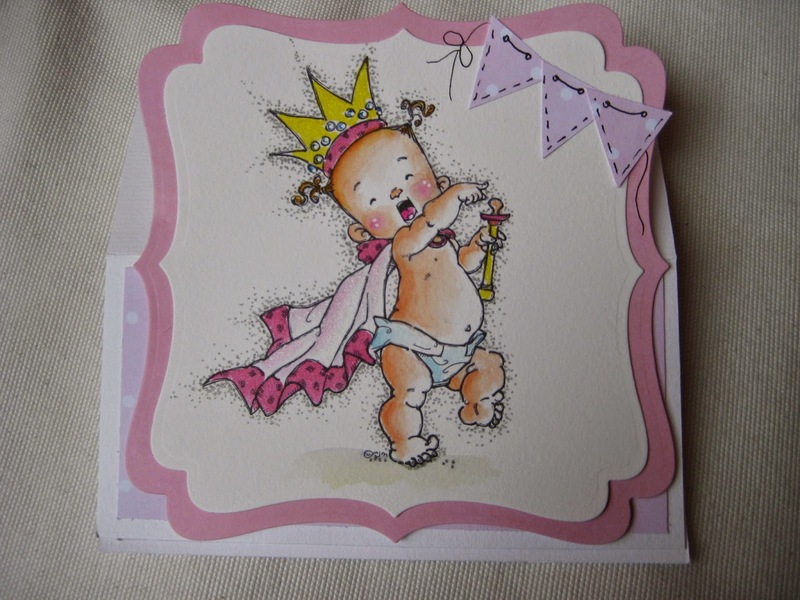 For the handwritten sentiment I used Wink of Stella Brush e Cocoiro pen. You can find my project on Kuretake social page here together with plenty of inspirational creations! Lovely card you made! What colors of the Zig markers do you use for the skin ? Saw this on fb Miria and had to pop over. Its just gorgeous, your colouring is truly amazing! !